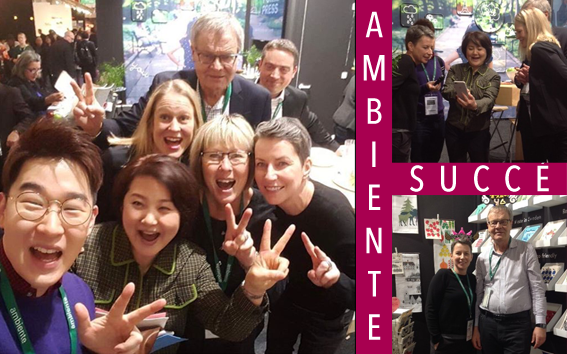 Success at Ambiente again | TekoTryck AB - You design, We print! Together with our partner Formpress we showed our products to designers, promotional companies, stores and distributors around the world. One of the more exciting visits was when the Korean film crew from Lotte TV shop appeared. The team filmed and mega celebrity Choi Yura presented our products. The event was highly appreciated by us, exhibition participants and visitors. Thanks to all who contributed to this success.